That is why, over a decade later, I was so happy when the entire internet was set on fire by the Lazy Town meme. 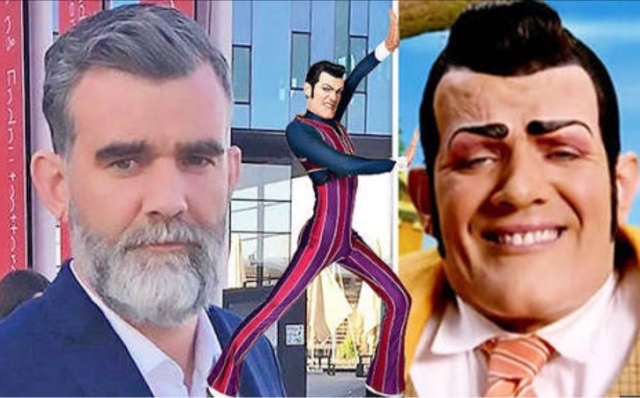 Seeing his character on countless YouTube videos, being remixed in all sorts of ways with his iconic song "We Are Number One", made me so nostalgic of my early childhood past. Seeing his face on TV was as much of a staple of my weekends as was ice cream, Elmo, and riding my scooter. Two of my interests, present and past, combined: Lazy Town, of the past, and memes, of the present. Besides being an iconic kids character and Internet meme, he was also just a great guy. He making children happy, and did plenty of things to try to make kids smile: Everything from his TV show role to founding charities to help children. One of his charities, for example, was directed towards helping to stop children being bullied. His life and career were all going well, until, in 2015, his life took a tragic turn: He was diagnosed with cancer. He spent three years battling his deadly disease, and people from all over the world tried to help him. Everyone from the members of the cast of his TV show, to fans of his show, to YouTube meme creators, contributed monetary amounts to help fund his various surgeries and operations to help lessen the severity of his cancer. I specifically recall the YouTuber "grandayy" putting s link to donate to him at the end of each and every one of his meme videos. People put up a petition on Change.org to try to get an actual statue of him built in his Icelandic hometown. Word of his tragic condition spread around the Internet, and for once, memes were actually doing some good in the world (by helping raise awareness of his condition, and getting casual Internet-goers to want to donate to him). Memes for good? What a world we live in, am I right? Unfortunately, on August 22, 2018, his wife annouced publicly that Stefan Karl Stefansonn had lost in his battle to cancer, and died. While this is very sad news, at least he can finally be at peace and not have to worry about his terrible cancer. While he enters his final rest, the world will forever remember Stefan Karl Stefansonn. If he was still here, he would probably insist on still being called Robbie Rotten. I guess that it is sort of like his split-ego. His counter persona. His sercret identity. Regardless of what you call him, he will always still be the same person: A caring, funny, and talented man. Rest in peace, Stefan Karl. You will always be number one (just like your song).